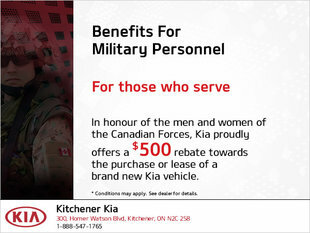 At Kitchener Kia, we believe in providing value to our clients. 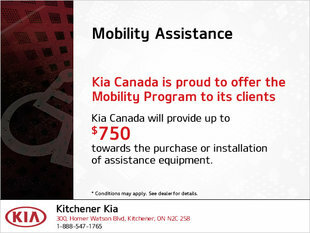 We aim to exceed your expectations with special offers that give you more bang for your buck. 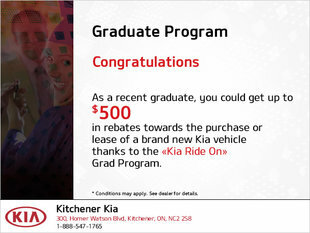 It’s one thing to offer our clients a wide range of services and a complete inventory of new and pre-owned vehicles, but we also make sure to provide something extra to keep you coming back for more. We have a wide range of special offers on all our new and pre-owned vehicles, as well as on our after-sales services, including maintenance, genuine parts, and accessories. Regardless of your needs, there’s a special offer that will help you save money and give you more value for each dollar. 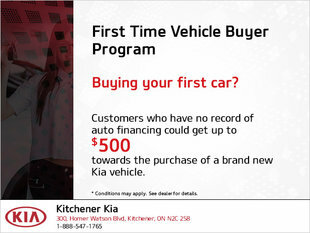 We even have great financing solutions on plenty of our new and pre-owned Kia vehicles in stock. To learn more about our special offers, which are both seasonal and year-long, regularly check this page or contact us today.